The days of CIOs focusing exclusively on keeping technology systems working and up to date are over. As technology continues to evolve at a rapid pace, the CIO role is no longer restricted to merely saving costs and improving costs. Today, CIOs are also increasingly expected to innovate and contribute to a businesses' revenue stream. Facing disruption from numerous fronts, pressure is mounting for companies to leverage innovative solutions to generate top-line growth. Who better to build these capabilities than CIOs, who have an array of emerging technologies at their disposal? According to IDG’s recent State of the CIO survey,CIOs are focusing more and more on strategic business tasks, helping to identify new revenue opportunities, and operational innovations. Nearly two-thirds (62%) of CIOs say that the creation of new revenue-generating initiatives is among their job responsibilities. To support the creation of growth-driving initiatives, CIOs are learning about customer needs, building teams focused on innovation, and creating business case scenarios with defined costs and benefits. Welcome to the age of the CIO as a growth driver. For CIOs aiming to drive growth for their companies, artificial intelligence (AI) platforms are an excellent starting point. A recent survey by Deloitte of “aggressive adopters” of cognitive and AI technologies found that 76% believe that they will “substantially transform” their companies within the next three years. The possibilities would seem to justify the hype. AI isn’t just one technology, but a wide array of tools, including a number of different algorithmic approaches, an abundance of new data sources, and advancements in hardware. A recent McKinsey study pegs the potential economic value of AI tools at between $3.5 trillion and $5.8 trillion. Nevertheless, there remains a large gap between aspiration and reality. Gartner estimates that 85% of big data and AI projects fail. There are manifold reasons for these failures, but a chief culprit is CIOs taking a technology-centric approach – wasting precious time by experimenting with an AI platform in the futile hope that will solve all problems for everybody across the enterprise – instead of finding an AI platform that delivers on actual business outcomes. Rather than focusing exclusively on an AI platform’s technology, forward-thinking CIOs should strive for an AI platform that drives specific business objectives and key performance indicators (KPIs) that are valuable to their organization. In lieu of a technology-centric approach, progressive CIOs are opting for AI platforms that take an asset-and-process-centric approach. Put simply, they are selecting an AI platform that enables their companies to achieve competitive advantage and generate new revenue streams by maximizing asset performance/reliability and process efficiency/optimization. 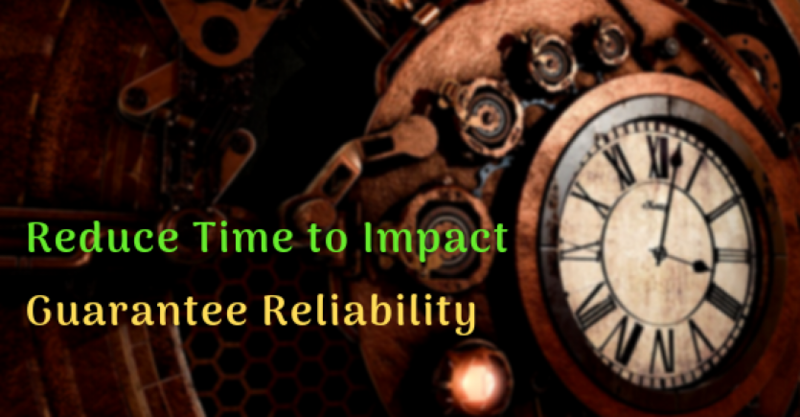 In addition to ensuring their company’s AI platform drives growth by delivering on critical business outcomes, CIOs must also make certain that the AI solution reduces time to impact and guarantees reliability. Rapid deployment of the AI platform is vital to keeping up with the accelerated needs of the modern business world and safeguarding the organization from being left behind. Moreover, the platform must possess the ability to scale quickly across the enterprise, so that its benefits can be distributed throughout the business efficiently and effectively. Finally, the AI platform must demonstrate a proven track record of success for all of the above –imparting value by empowering companies to consistently solve problems and meet business goals, reducing time to impact by standardizing the solution and empowering self-service for users, and assuring reliability by providing rigorously tested scientific solutions and deploying at scale. By way of example, a leading multi-national specialty chemicals company headquartered in Germany faced numerous problems: 1) their quality check analysis procedures were conducted post-production rather than pre-production, 2) they lacked real-time intervention and quality control during the manufacturing process, 3) their standard operating procedures failed to consider the dynamics of the manufacturing process, and 4) they were consistently 2-3% off-spec annually. By leveraging the Cerebra AI platform tuned for the Industrial Internet of Things (IIoT), this company achieved 95% accuracy in quality prediction for its finished goods and reduced its time taken for Root Cause Analysis by 90%. Additionally, the company experienced a 14% drop in off-spec products and lowered its customer complaints by 37%. From being a cost-center in the past, to a growth driver today, CIOs will play an increasingly important role in increasing the top-line. The CIO is uniquely positioned to play a major part in the overall success – and profitability – of their organization. Forward-thinking, growth-driving CIOs will continuously search for opportunities to improve their companies through the implementation of digital technology, and it can begin by selecting an AI platform that attains desired business outcomes.